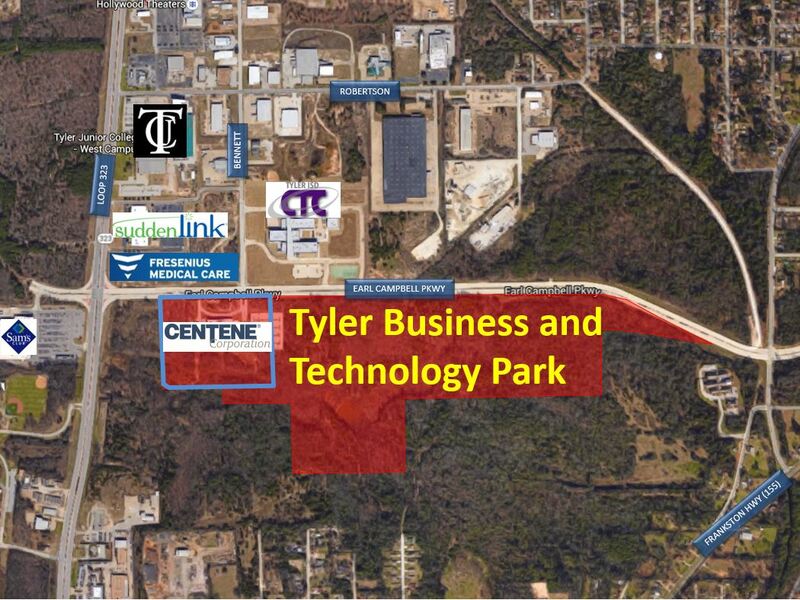 The new TEDC Business & Technology Park is 135 acres on the south side of Earl Campbell Parkway. The covenants and restrictions have been developed. Centene is the first tenant in the Park. They have purchased 25 acres and signed an option for an additional 15 acres. Phase One of their project calls for the construction of a 50,000 SF, 3 story office complex with a 6,000 SF day care center adjacent to the claims center. The company projects hiring 325 with an average salary of $40,000 plus full benefits.